Chiura Obata (1885–1975) was one of the most significant Japanese American artists working on the West Coast in the last century. Born in Okayama, Japan, Obata emigrated to the United States in 1903 and embarked on a seven-decade career that saw the enactment of anti-immigration laws and the mass incarceration of Japanese Americans during World War II. But Obata emerged as a leading figure in the Northern California artistic communities, serving not only as an influential art professor at UC Berkeley for nearly twenty years, but also as a founding director of art schools in the internment camps. With a prodigious and expansive oeuvre, Obata’s seemingly effortless mastery of, and productive engagement with, diverse techniques, styles, and traditions defy the dichotomous categorizations of American/European and Japanese/Asian art. His faith in the power of art, his devotion to preserving the myriad grandeur of what he called “Great Nature,” and his compelling personal story as an immigrant and an American are all as relevant to our contemporary moment as ever. 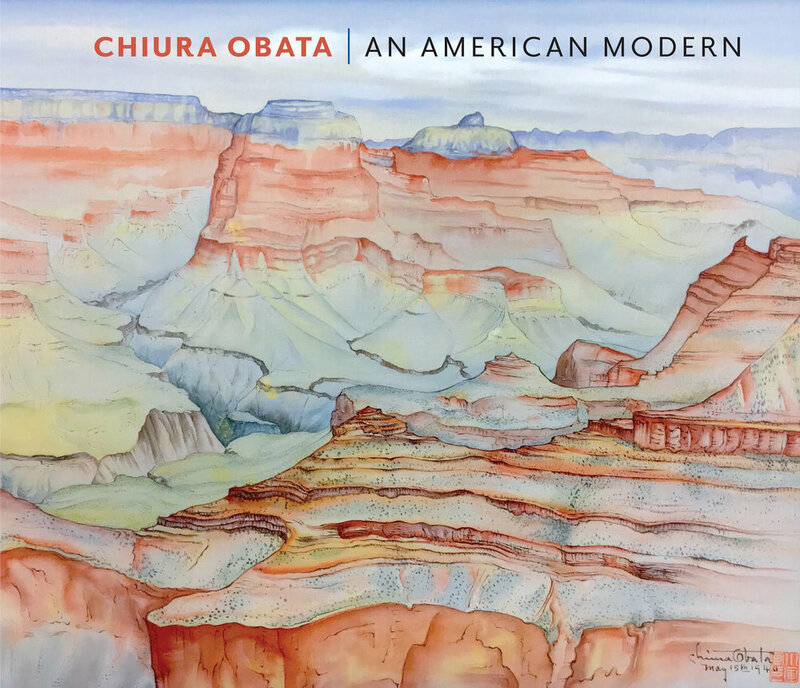 This catalogue is the first book surveying Chiura Obata’s rich and varied body of work that includes over 100 beautiful images, many of which have never been published. It also showcases a selection of Obata’s writings and a rare 1965 interview with the artist. The scholarly essays by ShiPu Wang and the other contributors illuminate the intense and productive cross-cultural negotiations that Obata’s life and work exemplify, in the context of both American modernism and the early twentieth-century U.S. racio-ethnic relations—a still-understudied area in American art historical scholarship. Published in association with the Art, Design and Architecture Museum, UC Santa Barbara. ShiPu Wang is Professor of Art History and Visual Culture, Founding Faculty of the Global Arts Studies Program, and Founding Director of UCM Art Gallery at the University of California, Merced. He is the author of Becoming American? The Art and Identity Crisis of Yasuo Kuniyoshi, and The Other American Moderns: Matsura, Ishigaki, Noda, Hayakawa.